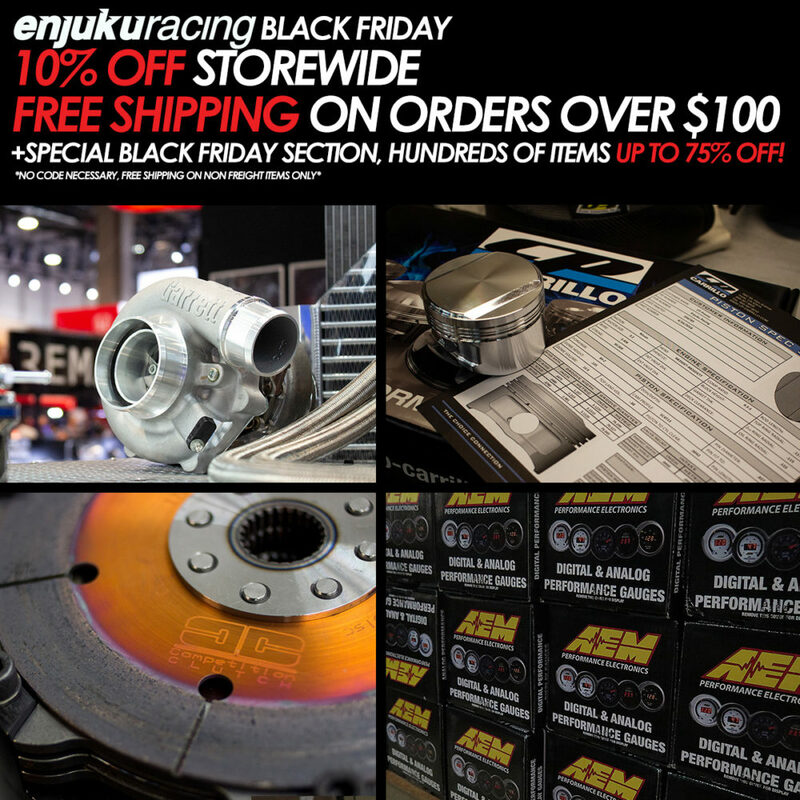 It’s that time of year again and our friends at Enjuku Racing are having a 10% off storewide sale all week and save up to 75% on the Black Friday weekend. It’s time to treat yourself! We have a great relationship with Enjuku Racing and we are proud to promote their brand and their products so we have no issues highlighting the bargains to be had at this week’s Thanksgiving and Black Friday promotions. Do you run a 240sx, 350z, 370z, Skyline, G35 or G37? Chances are Enjuku have the parts that you have been drooling over.. The sale starts at 5:00PM EST. Special Black Friday offers will go live on Thanksgiving night with limited quantities and up to 75% off. Sounds good right? Head over to Enjukuracing.com and grab yourself a bargain. Please note: Drifted is an Enjuku Racing affiliate.